Next Casino was launched in 2013, and is operated by OddsMatrix Limited, which is licensed in Malta. NextCasino strives to give players a memorable and fulfilling online casino gaming experience to both mobile and desktop players. The casino games are powered by the leading software suppliers in the industry, such as Net Entertainment, and Microgaming, among others, so you can be guaranteed to have hours of gaming fun. 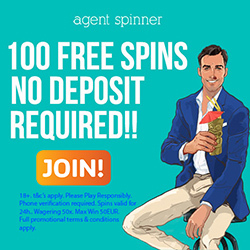 Next Casino is giving all new depositing players a 100% Welcome bonus offer up to €/$200 AND 100 Spins. The Spins are available on Twin Spin*. *If you are from a NetEnt restricted jurisdiction you will get 100 spins on Fruity Friends. Make a minimum deposit of €/$20 to qualify for this Welcome offer. New players must be 18 years or older. Click here for a list of the Full Terms and Conditions. Next Casino is giving all new depositing UK players a 100% Welcome bonus offer up to £50 AND 50 Spins. Make a minimum deposit of £20 to qualify for this Welcome offer. You may only sign up for one. If you are found to have multiple accounts, your accounts will be closed and all winnings will be declared null and void. The wagering requirement for the Welcome offer is 35 times and must be met within 21 days. You will need to fulfill these playthrough requirements before withdrawing any winnings. The following deposit options are available: DotPaySMS, Euteller, Przelewy24, Qiwi, Santander, Ewire, FundSend, Giropay, iDeal, Instadebit, Laser, LobaNet, Mastercard, Moneta.ru, MultiBanco, NeoSurf, Neteller, Nordea NetBank, PAGOFACIAL, Play Coins, Postepay, Cuenta Digital, Dankort, DineroMail, Diners Club, Skrill, Sofortüberweisung, Solo, SpeedCard, Teleingreso, Todito Card, Trustpay, Ukash, uNet, Visa, Visa Debit, Visa Electron, WebMoney, EcoPayz, eKonto, Abaqoos, AGMO Casinos, Bank Transfer, Boleto Bancario, CartaSi, ELV Elektronisches, Enets, Entropay, and EPS, Euro 6000. The withdrawal options are as follows: Neteller, Skrill, Visa, Visa Debit, Visa Electron, WebMoney, Wire Transfer, Fast Bank Transfer, Bank Transfer, EcoPayz, Entropay, Instadebit, and Mastercard. E-wallet withdrawals take up to 24 hours, and bank transfers as well as credit/debit cards take 3 to 5 working days. The pending period may take up to 48 hours. These are the accepted currencies at NextCasino: EUR, AUD, GBP, CAD, NOK, DKK, and USD. Next Casino is available in the following languages: English, Italian, France, Russian, Swedish, Czech, German, Spanish, Polish, Norwegian, Turkish, and Chinese. If there are any queries, you can contact the support team via Live Chat or Email. ← Monte Casino Review | 100% Welcome Bonus up to €333 + 33 Free spins.